Prevent v2 is a paid tool built for Windows 7/8/10 and Windows Server 2003/2008/2010. Prevent v2 is the advanced version of Prevent tool. It can secure all the data from being modified/deleted, in other words it restrict other user from playing with the user sensitive data. Below are the primary functions which Prevent provides. Prevent is helpful for Pharma companies, it allows them to easily enforce the policy for instrument system data integrity. Once the Prevent is launched it automatically starts its user tracking mechanism. What basically it does is, it creates a log of all the users added/deleted from a particular system in a PDF file - "Tracking Report"
User don't have to manually start this tracking, this is enabled by default. 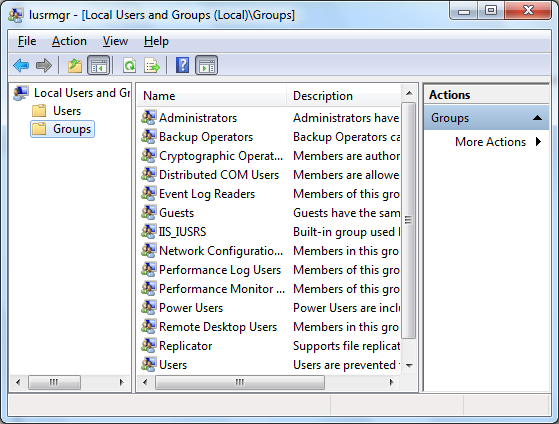 If you open "Local Users and Groups" by typing "lusrmgr.msc" (without quotes) in command prompt or Run windows you will get below screen, wherein you can create new user Groups, add users to group, delete users from group and delete Group. Like User Tracking, folder tracking is also an integral part of Prevent design. The necessity of folder tracking arrives at the moment, when user want to deliberately make some changes in the system for instance, delete a file/folder, rename, or want to use cut/copy/paste operation. However in these times also when Prevent is in PAUSED state, user can track the changes of 5 of it's most sensitive folder. Please Note: The PDF will only track activities from the predefined 5 folders only, activities done in others folder will not be tracked. 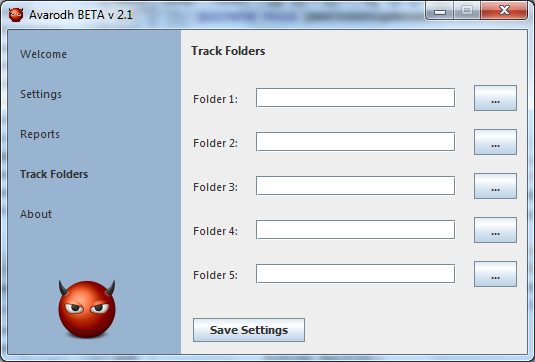 You can set the folders for tracking by using Track Folders screen in Prevent. Though the primary feature of Prevent is to restrict users from modifying data, it however allows users to "PAUSE" or temporarily stop this functionality, but during this period it tracks folders for users activity in few of the predefined folders. Apart from it, user tracking also runs simultaneously, meaning any change in user group or addition of new user etc will also get recorded in a pdf file. 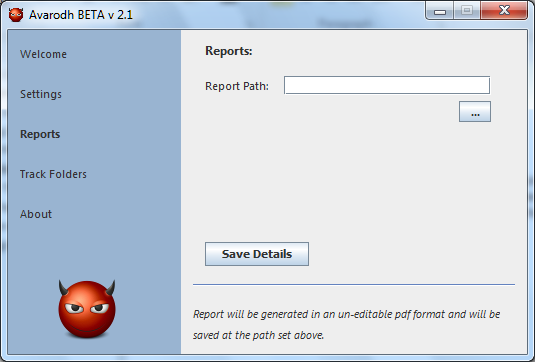 You can set the location of the PDF file by using Reports screen in Prevent. Microsoft has added a new theme to the Windows 7 personalization gallery called Architecture theme. The theme contain amazing architectural wallpapers from Czech Republic. The theme pack contains no less than 7 wallpapers and is available for download from the Czech version of the Windows Personalization Gallery. According to some recent rumor reported by Paul Thurrott , Windows 8 will include a user interface optimized for the Tablet PC and slate-like Windows Phone 7, called "Mosh" (Modern Shell). Microsoft could therefore have intended to use the Windows true and for the next generation of tablet, not a derivative of Windows CE (Embedded Compact) come The porting on 'ARM architecture, which Ballmer made a demonstration at CES 2011 , will have a slate tablet and efficient, fanless, and with great autonomy. Applications for Windows 8 will be distributed through a new format (. Appx), which presumably will contain everything the application needs to function, including metadata to allow the system to update it with a single click and sync it all up user devices. New applications will be written in Silverlight / WPF, and you can then use the same code, with minor modifications, to create an application that runs on standard PC Phone Windows 7 and the new tablet. An App Store and Touch Interface for Windows 8 would be interesting feature what do you say? Win Genuine License Keys of Microsoft Office Professional 2010, Microsoft Windows 7 Ultimate, Internet Download Manager. So are you ready to participate than head over to competition page. READ MORE - Win Genuine License Keys of Microsoft Office Professional 2010, Microsoft Windows 7 Ultimate, Internet Download Manager.